Commentary and Perspective from one of America's most unique small town areas, edited by Preston Westmoreland of Russ Lyon Realty. Zillow's surveys of home prices in metro Phoenix are a bit more upbeat than other indexes and reports. Zillow reports home prices are down almost 16 percent in metro Phoenix during the past year. The Case-Shiller index reports the price decline in metro Phoenix for that period is closer to 21 percent. Many Valley homeowners might find the online property-valuation firm's estimates of their house's value a little optimistic, too. Zillow reports the median home price for metro Phoenix is $220,000. The Realty Studies Center at Arizona State University has reported the same figure for the past two months. The article, Where home prices are headed next, from Money Magazine, reports that The housing implosion is nowhere near over. In 75 of the 100 top U.S. cities, prices are expected to fall in the next 12 months according to Fiserv Lending Solutions. The S&P Case/Shiller Home Price Index, which tracks 20 of the largest housing markets, showed prices plummeting by 12.7% in the 12 months ending February. That's the biggest fall since the index began tracking prices in 2000. Meanwhile, foreclosure filings more than doubled in the first three months of 2008, spiking 112%. So far this year 156,463 families have lost their homes to repossessions. Many markets won't hit bottom till late 2009 or even 2010. The article shows Phoenix with prices dropping 18.3% by May 09 from the peak. Carefree/Cave Creek-With hotter and drier weather upon us, many of the seasonal wildflowers, from lupine to brittlebush have dried and been blown away by the strong winds we've had this spring. 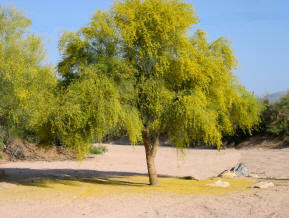 Even now, the brilliant Palo Verde blooms are failing like rain (above), and the last of our desert wildflowers are shooting out of the tops of majestic saguaros. I climbed on top of our roof the other day to give you a close up look at these flowers, which are protected by law, from twenty feet up. 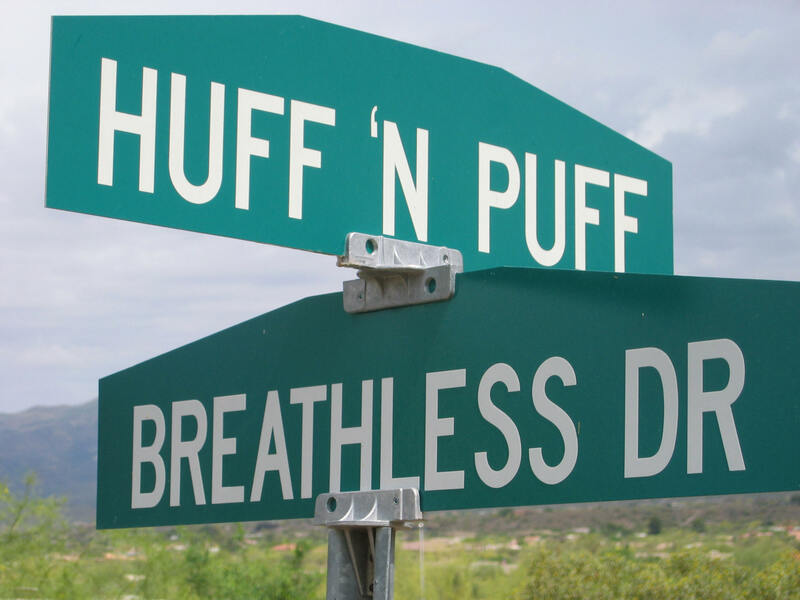 Those Amazing Carefree Street Names! New Carefree residents wouldn't be the first to have the credit bureau snicker when they said they worked on Easy Street or lived on Dream Street in Carefree! The names attracted worldwide attention when the town was started in the 1960's. With a business district on Wampum Way, dead-end roads like No More Road and tributes to Long Rifles and Six Guns, many have suggested that the naming session took place over a pitcher of martinis in a local watering hole. The founding fathers insisted it took place in a regular business meeting. What do you think? A flat pattern in home sales activity should continue for the next couple months before improving over the summer, according to the latest forecast by the National Association of Realtors®. Lawrence Yun, NAR chief economist, said the extent of an expected recovery hinges on better access to affordable loans. "Things are beginning to improve, but the availability of affordable mortgages is uneven around the country and sometimes within metropolitan areas," he said. "As anticipated, we continue to look for a soft first half of the year, for both housing and the economy, before notable improvements in the second half. Some time is needed for FHA and new conforming jumbo loans to become widely available." Existing-home sales are projected to rise from an annual pace of 4.95 million in the first quarter to 5.82 million in the fourth quarter. For all of 2008, existing-home sales are likely to total 5.39 million, and then rise 6.1 percent to 5.72 million next year. “Although more than half of local markets are expected to see price growth this year, the aggregate existing-home price will decline 2.4 percent in 2008, driven by a relatively few markets that are very oversupplied,” Yun said. The median price is forecast at $213,700 this year before rising 4.1 percent to $222,600 in 2009. Some areas already are seeing sales increases, underscoring that all real estate is local. In March, unpublished snapshot data shows sales in Bakersfield, Calif., and Jackson, Miss., were higher than a year ago. At the same time, price gains were noted in markets such as Buffalo-Niagara Falls, and Cedar Rapids, Iowa. On May 13, NAR will report first-quarter data on metropolitan area home prices, covering about 150 metro areas, and state home sales. 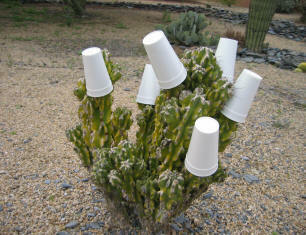 Quiz Answer: What's with all the Styrofoam cups on cactii during the winter? 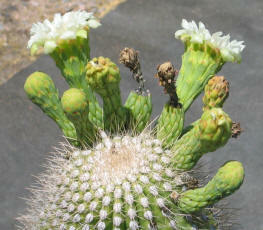 Answer: To protect the heart of the cactus from freezing. Sometimes winter temperatures can get down into the 20's in the high desert, and the tender center of the cactus is subject to frost damage. The Housing Crisis Is Over? Is it time to start house hunting? Cyril Moulle-Bertaux opined that April 2008 marked the bottom of the U.S. housing market. And in his column WSJ’s Brett Arends makes a similar argument. He looks at the data on housing starts since 1972, which shows that new housing starts slumped below the one million mark in March. Every time that has happened in the last 50 years, Mr. Arends writes, it proved to be the bottom of a recession. When Arizona was granted statehood on February 14, 1912, the Federal government gave Arizona huge sections of land to put into a trust with the provision that it be sold off through the years, to benefit education and schools. This enormous land gift constituted about 13% of all land ownership in the state. In better economic times, Arizona reaped unbelievable fortunes selling off the land to developers. One auction in 2007 attained a price 40% over the appraised value of the land. 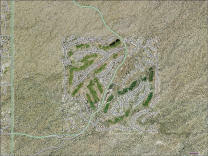 Other auctions got $ 1 million an acre as in a $33 million-dollar-deal at Desert Ridge in North Phoenix. Even in Carefree, the last forty acre state parcel that existed within the town's boundary, was auctioned off in August of 2006 for close to $10 million dollars. A luxury home community is in the planning stages there right now. WASHINGTON - The worst of the credit crisis may have passed, Treasury Secretary Henry Paulson said Wednesday, while acknowledging that rising gas prices will blunt the effect of 130 million economic stimulus checks. He ruled out a second stimulus package for now. In an interview with The Associated Press, Paulson said that the turmoil that has gripped Wall Street and took a turn for the worse again in March has eased somewhat. "There's progress," he said. "I think we're closer to the end of this than the beginning." A prolonged housing slump, a severe credit crisis and soaring energy costs have pushed the economy to the edge of a recession. To help cushion the blow, the Bush administration and Congress speedily enacted a $168 billion stimulus package of tax rebates for people and tax breaks for businesses.